Before Mark came to Pixar, he had been a storyboard artist for a number of animated films, including The Iron Giant, for which he won an Annie Award. Andrews also worked on animated television shows such as The New Adventures of Jonny Quest and Star Wars: The Clone Wars (which he won an Emmy award). Mark has also worked on live action films including Spider-Man, and was second-unit director and co-writer on Andrew Stanton's John Carter. 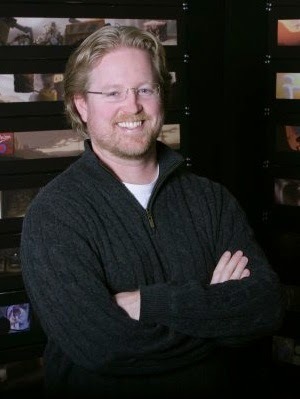 Andrews came to Pixar with Brad Bird and others in 2000, first working as story supervisor on The Incredibles. He also serve as a storyboard artist on Cars, then again as story supervisor on Ratatouille. His latest effort was as co-writer and co-director of Brave. According to an interview the A113Animation blog did with Brave Story Supervisor Brian Larsen, Andrews is working with Larsen in the early stages of development of an idea for a new film. Jay Ward (1998) - Jay started in the art department as a production assistant on Monsters, Inc. Then in 2001, he began working on Cars. With his deep knowledge of cars, he quickly became a key contributor on the film's development, acting as consultant to co-directors John Lasseter and Joe Ranft, plus as the character team manager. Ward's passion for automobiles has led to him being named the Guardian of the Cars franchise, and he has worked on Cars 2 plus other Cars-related efforts. Ward also organizes the annual Motorama car show at Pixar. 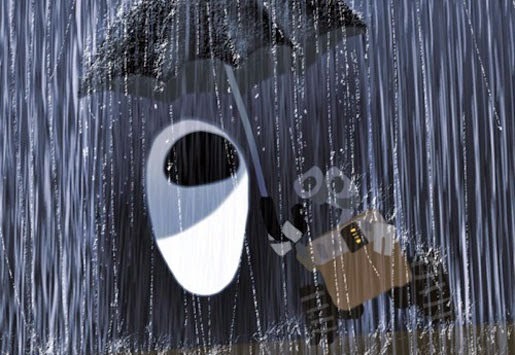 Prior to coming to Pixar, Ward received a Bachelor of Fine Arts in Illustration from the California College of the Arts. Jordy Ranft (December 24, 1991) - Jordy is the son of late Pixar story artist Joe Ranft. He is an actor and poet, and voiced Tad in Finding Nemo, and one of the ants in A Bug's Life. Jordy has a sister, Sophia, who has also done voice work for Pixar, voicing one of the monster children in Monsters, Inc.
Scott Morse (December 4th) - Morse studied character animation at CalArts in the early 1990s, then went to work at Chuck Jones' Film Productions. 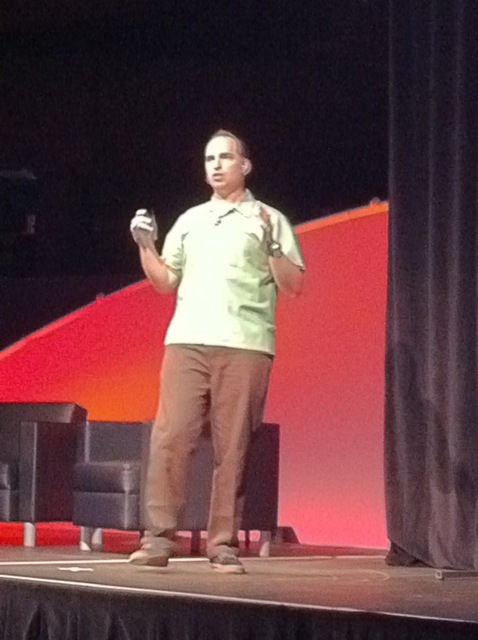 At Pixar, Scott has been a story artist on Ratatouille, Cars 2 and Brave. He has also been active with a number of the Cars Toons episodes, with writing credit on episodes such as Time Travel Mater, Unidentified Flying Mater and Monster Truck Mater. He is now serving as director for the next episode, To Protect and Serve. 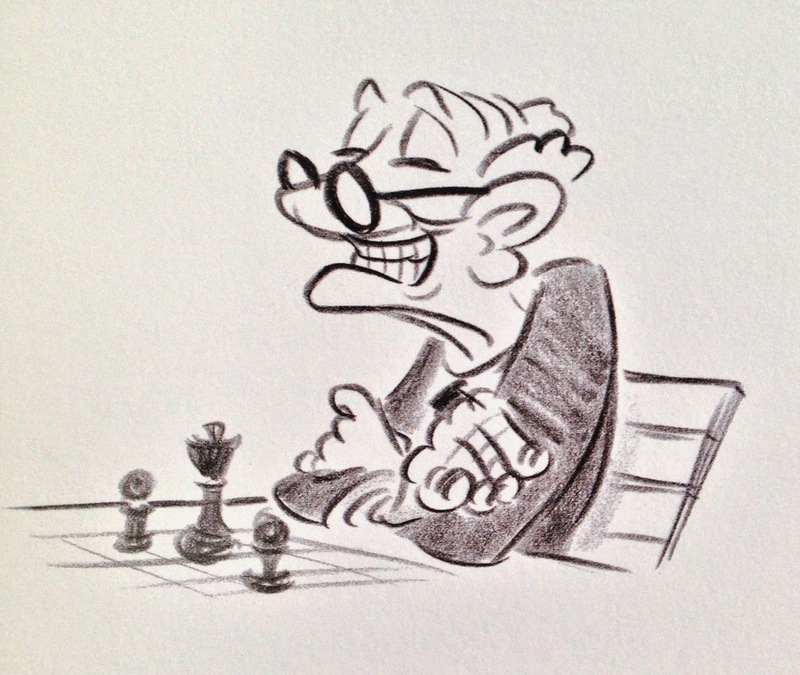 Morse is also a well-known author of a number of graphic novels and other books, including the Magic Pickle series and the rare The Ancient Book of Myth and War, which he did with other Pixarians like Lou Romano, Nate Wragg and Don Shank. Many of you may know that when Pixar started creating animated television commercials in the late 1980s, the first animator John Lasseter hired was Stanton. Since then, Stanton has written and directed a number of Pixar films, having writing credits on Pixar's first 5 films, co-directing A Bug's Life and having directed Finding Nemo and WALL•E. Stanton has also done a number of character voices including Zurg in Toy Story 2 and Crush in Finding Nemo. Stanton is busy directing Finding Dory, coming out June 17, 2016. 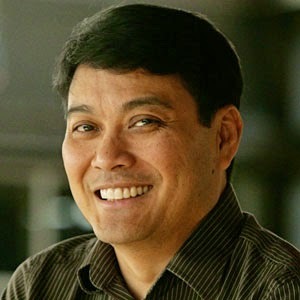 Ronnie del Carmen (December 31, 1959) - Ronnie was born in the Philippines and received a fine arts degree from the University of Santo Tomas. 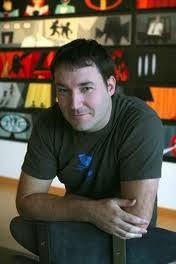 He worked at both Warner Brothers and Dreamworks before coming to Pixar in 2000. His first Pixar effort was story supervisor for Finding Nemo. He also did storyboard work on Ratatouille and was story supervisor on Up. del Carmen directed the wonderfully cute short film Dug's Special Mission, and is now co-director of next year's Inside Out. Ronnie has also published a number of books such as My Name is Dug, Three Trees Make a Forest (along with Tadahiro Uesugi and fellow Pixarian Enrico Casarosa), plus And There You Are, featuring beautiful drawings of Nina (from del Carmen's Paper Biscuit series) plus a look into his story and character creation process. I love both this book and Three Trees Make a Forest, and find myself often going back and flipping through the pages admiring his illustrations. Eugene Levy (December 17, 1946) - Levy is a well-known Canadian actor and comedian, having been in films such as Night at the Museum: Battle of the Smithsonian, Cheaper by the Dozen 2 and both Father of the Bride films. He has also done voice acting in Curious George and Over the Hedge. His first Pixar effort will be for Charlie, Dory's father in Finding Dory. Sadly, December has also held some Pixar-related losses. Japeth Pieper, an artist on Cars, Ratatouille and WALL•E, passed away on December 7, 2010. Pixar dedicated Cars 2 to him. And exactly 1 year ago today on December 14th, 2013, the amazing Peter O'Toole, the voice of Anton Ego in Ratatouille, passed away. Welcome back to another look at Pixar's earnings reports from when the studio was a standalone company. Today I am looking back at their 3rd quarter 1998 results. As had been the case for a few quarters, revenues for Pixar had been dropping as Toy Story revenue was drying up, and their next film, A Bug's Life, wouldn't be released until later in 1998. Total revenues for the quarter were $2.5 million, down over 50% from $5.3 million in the 3rd quarter of 1997. This was due to a 63% drop in film revenue, from over $3.5 million to $1.3 million, but that's not the full story. As part of the Feature Film Agreement between Disney and Pixar, once Disney recovered all their marketing and production costs, Pixar was eligible to receive a higher percentage of the revenue. Disney ended up recovering all their costs earlier than expected, so in the 3rd quarter of 1997, Disney paid Pixar an additional $1.8 million to catch up for the higher percentage. Removing this one-time item, film revenue only dropped $400,000. There was also no animation service or patent licensing revenue in 1998, compared to almost $1 million in 1997. There was an uptick in software revenue, growing from $900,000 to $1.2 million, which I think can be mostly attributed to their purchase of PEI which had occurred in June of 1998. Not surprisingly, gross profits for the quarter also dropped to $2.2 million from $4.7 million in the 3rd quarter of 1997. There was a large increase in software cost of revenues due to the PEI acquisition. As discussed in the quarterly report, Pixar was amortizing a large portion ($2.7 million) of the purchase price for PEI over the next 3 years. Basically, Pixar would match amortized expenses against any related revenue so there would be no gross profit until the $2.7 million had been accounted for. Even though software cost of revenues increased dramatically, gross margins stayed the same at 88% year-over-year. This was due to the high cost of animation services that was recorded in 1997 - $534,000 in costs against $896,000 in revenue for a gross margin of only 40%. While 40% gross margins would be good in many businesses, that was less than half of what Pixar was generating with their film and software businesses, and I'm sure had a large influence on the company deciding to exit that business segment. Expenses for the quarter were $3 million, up from only $658,000 in 1997. But I should point out that 1997 had an extraordinary event which I discussed in my post of that quarterly report: due to Disney and Pixar signing the new Co-Production Agreement in early 1997, Disney was responsible for paying half of all the costs Pixar incurred in developing films. At the time of signing the agreement, both A Bug's Life and Toy Story 2 had been in production since 1996, so Disney was responsible for paying half of those expenses, resulting in a $2.2 million reimbursement. In the end, net income for the quarter was $867,000 (net profit margin of 35%) or $0.02/share versus $3.6 million (68%) or $0.08/share in 1997, but given the 2 extraordinary revenue and expense reimbursements that occurred in 1997, it's not an apples-to-apples comparison. Pixar also continued to burn through cash, although fortunately they still had a large amount of cash from their IPO. Cash and short-term investments were $153.2 million at the end of the 3rd quarter of 1998, down from $176.0 million at the beginning of the year. Much of the cash burn was due to development and production costs for A Bug's Life, Toy Story 2 and Film Four (the title for Monsters, Inc. before it was green-lit), which totaled almost $24 million for the first 3 quarters of 1998. Another $8.8 million had been spent for new computers and other equipment. Pixar's stock had a wild ride during the quarter. Whereas the first half of the year was good for shareholders, with the stock tripling from around $20 to the mid-$60s by July, the stock dropped over 50% to below $28 by the end of August. It recovered somewhat and ended the quarter around $40. While I was a long-term buy-and-hold Pixar investor (making my first purchase in early 1997 and holding on through the merger with Disney), the stock's volatility made it possible to do some "stock trading". Pixar's stock seemed to often follow the "buy on rumor, sell on fact" axiom. In early July, 1998, with the price over $60, there was a lot of optimism about the company with A Bug's Life soon to be released and Toy Story 2 being upgraded to a full theatrical sequel. But it seemed premature for the stock price to be increasing so rapidly since it would be close to a year before any income from A Bug's Life would be recognized. I sold about half my holdings in early July, and would buy back all that and more in the spring of 1999 at a 30% discount. If you're like me, not only do you like seeing films on the big screen, you like the behind-the-scene looks at the making of the films. I love listening to director commentaries and watching bonus features on the DVD or Blu-ray. I've mentioned this before, but a critical event in my love of Pixar came with the Monsters, Inc. DVD. I've spent hours in the "For Humans" section of the bonus DVD. This was my first in-depth look at the new Emeryville studio and I sat in awe watching the Production Tour and other features that focused on the people and building. Watching all the different aspects of making the film - story, animation, sound, the artwork, just blew me away. And then there were the fun features - the Fun Factory Tour, riding around the studio on scooters, the chimp, the first annual International Air Show, the Easter Eggs! I already knew this was a special company, but these bonus features started me down the road of learning more about Pixar's culture and how they managed to have fun, work hard and continued to put out amazing films. Fortunately, now with the Internet there are a number of ways to learn about how films are made and the artists that make them. From podcasts like The Pixar Post and their Pixar Pipeline Project, to artists live-tweeting throughout their work day or answering questions via Twitter or Reddit. And on this day back in 2011, Pixar's Enrico Casarosa took us on a visual tour of one of his days while directing the beautiful short film La Luna. From the moment he arrived at the studios via bicycle, through meetings and reviews, Casarosa gives a great, personal look at what occurred during development of the film. I really enjoyed seeing the antics and effort that went into making the film, and would love to see more of these day-in-the-life features. I'm back with another look at one of Pixar's quarterly earnings reports from when they were an independent public company. 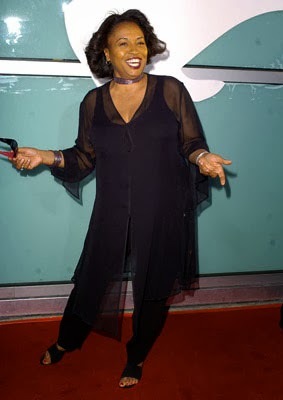 In this post we'll look at their second quarter (April - June) of 1998. The middle of 1998 was a quiet period for Pixar, at least in terms of revenues and earnings. Revenues from the home video release of Toy Story continued to drop, and there wouldn't be an increase in revenue until the first quarter of 1999 when money from A Bug's Life began to come in. Revenue for the quarter was only $3.8 million compared to over $14 million in the second quarter of 1997. Of the $3.8 million, $2.9 million was from Toy Story film revenues and $850,000 from RenderMan sales. While revenues were decreasing, expenses were increasing, growing from $2.8 million in 1997 to $3.2 million in 1998. Much of this was due to general and administrative expenses, which grew over 73%. Pixar had both A Bug's Life and Toy Story 2 in production, and were in the early stages of developing Film Four (Monsters, Inc.). In the report, Pixar pointed out production hadn't started yet on Monsters, Inc. as the story treatment hadn't been approved. They also stated if the story treatment and budget were approved, it was not expected to be released until late 2000 at the earliest. As we all know, it would be a year later before it hit theaters. Net income was a little over $2 million ($0.05/share) compared to almost $9 million ($0.22/share) in the year before quarter. You might ask, if revenue was $3.8 million and $3.2 million went into expenses, how did Pixar end up with over $2 million in net income? The answer comes in the category of Other Income which totaled close to $2.2 million. This income was basically interest Pixar earned on their short-term investments - the large cash hoard Pixar still had from their IPO in 1995. The impact of lower earnings was more apparent by looking at their cash flow statement. For the first 6 months of 1998, Pixar generated $4.4 million of cash from their operations, but they spent $5.9 million on new equipment and $15.1 million on the production of A Bug's Life, Toy Story 2 and Monsters, Inc., for a cash outflow of $16.6 million. Remember, with the Co-Production Agreement with Disney, Pixar was now responsible for financing half of their film costs. 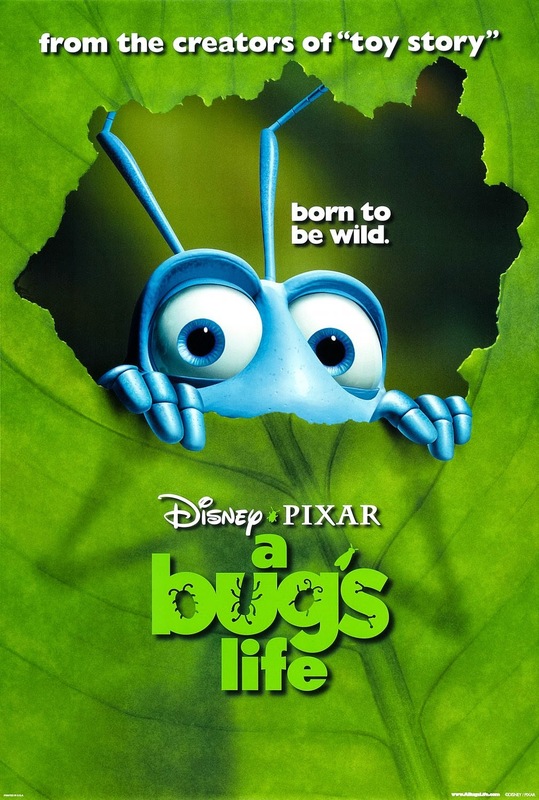 With those higher costs and no expected revenue from A Bug's Life coming until early 1999, Pixar would be burning through a significant amount of cash for the next couple of quarters. Fortunately, they had over $160 million in the bank so they were well prepared to handle these expenditures. 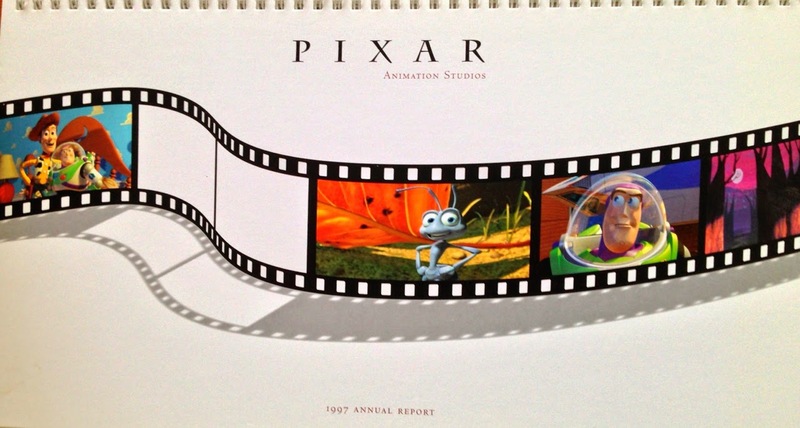 One item I noticed in the quarterly report was that on June 16, 1998, Pixar had purchased Physical Effects, Inc. ("PEI") for $3 million in Pixar stock (over 60,000 shares) and the assumption of $300,000 in liabilities. PEI was co-founded by David Baraff and had been working on simulation technology, which they had licensed to a third party. I'm guessing Pixar bought the company primarily in preparation for the fur and cloth simulations they would need in Monsters, Inc. In fact, Baraff is credited with creating Boo's shirt in the film, and he continued to enhance the simulation tools Pixar would use for later films like Brave and Monsters University. Baraff is now a Senior Animation Scientist at Pixar and received a Scientific and Technical Academy Award for his work on cloth simulation in 2006. Pixar's stock had had a good run-up through the first half of 1998, going over $63/share early in July. But after these results were announced their price began to drop, going down to around $50 by months end and getting as low as $28 near the end of August, 1998. Pixar was always known to be conservative in their earnings estimates and often beat expectations, as I discussed in my post for their first quarter of 1998 earnings report. I think analysts were somehow expecting revenues and earnings would continue to grow even in the absence of a recent film release. As a long term investor I wasn't concerned with the quarterly gyrations of revenues and earnings, but most analysts are only concerned with short term results. I think this quarterly report woke those analysts up and they realized it would be months before revenues would start to grow again. I have never been to The Walt Disney Family Museum, but I think it would be well worth a trip to San Francisco just to go there! In addition to the film screenings, galleries and special programs, they have a constant flow of artists and animators coming through to give lectures and demonstrations. With Pixar right across the bay from the museum, it's not surprising that many of these talks are led by Pixarians. And it looks like there is a great slate of upcoming talks featuring some of these Pixar artists! I previously wrote about some of these events, and thought now would be a good time to refresh that list. The first event is called Over There with Steve Pilcher, who was the production designer on Brave. 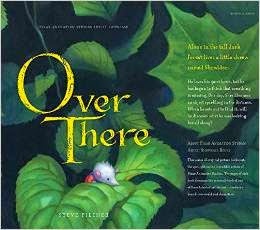 Steve will read from his soon-to-be-released children's book Over There and then do a book signing. Tickets are $20 for adult non-members or $12 for members. The program takes place tomorrow, Saturday, September 20 at 2:30pm! It looks like tickets are still available! Next is a 5 part talk called Animation Basics: Breaking Down the Magic. Part 1 will focus on story, the use of storyboards and the development of the script and will be hosted by Inside Out co-director Ronnie del Carmen. This event will take place on Saturday, October 25th. Part 2 of the Animation Basics series is subtitled Character and is taking place Saturday, December 6th. This event will cover character development, the use of maquettes and the importance of casting and voice. It will feature a number of Pixarians, including production designer Ricky Nierva, art director Matt Nolte, character sculptor Jerome Ranft, producer and casting director Kevin Reher and casting manager Natalie Lyon! Dates and hosts of parts 3 through 5 haven't been announced yet, so keep an eye on the museum's calendar! The last event I want to mention is the CalArts Fall Open House, being held on Saturday, October 18th. Alumni and staff from the world-renowned school will host a reception and discussion regarding its programs and admission requirements. This is an awesome way for prospective students to meet some of the leading artists and instructors in animation. With the large number of CalArts graduates at Pixar, while I don't know for sure, I can't help but think there will some at this event. Registration for it will begin on October 1st. Tickets for these events may run out, so if you're planning on going you should buy them sooner rather than later! I'm back with another look at Pixar's earnings from when they were a standalone company. In my continuing series, this post will look at their first quarter 1998 earnings report, which was announced after the market closed on Thursday, April 23, 1998. At this time, little money was flowing in but the company was busier than ever. 3 films were in different stages of development - A Bug's Life, which would be released later in the year, Toy Story 2, which in February, 1998, had been upgraded to a theatrical release (from a direct-to-video sequel), and Monsters, Inc. (officially referred to as "Film 4") was in early development. 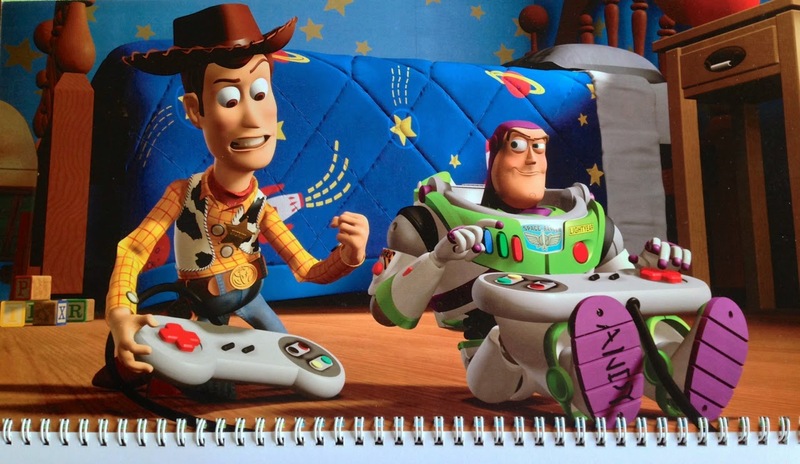 Film revenue from Toy Story home video and merchandise was $4.0 million vs. $6.3 million in the same quarter of 1997. Through the end of March, 1998, Pixar had received just shy of $50 million from Toy Story. Given that the film made $362 million worldwide plus the hundreds of millions more in home video and merchandise sales, it's obvious why Pixar pushed for the Co-Production Agreement, where Pixar and Disney would share equally in all costs and revenues (versus the approximately 10% - 15% it was receiving in accordance with the original Feature Film agreement). Even though the Animation Services department was shut down in 1997 to reassign its artists to A Bug's Life and Toy Story 2, the segment generated $171,000 in revenue due to royalties from their Toy Story CD-ROM interactive games. Software sales of RenderMan generated another $673,000 and patent licensing brought in $117,000, to bring total quarterly revenues to just shy of $5 million versus $7.9 million in 1997. While revenue in 1998 was lower, gross margins actually improved from 92.8% in 1997 to 98.5%! This was due to the lack of any film-related expenses - all costs from the production of Toy Story had already been accounted for. In addition, Pixar was capitalizing almost all development costs for its upcoming films, so while it was showing up on the cash flow statement (in the sum of $7.5 million), it wouldn't actually impact the income statement until it could be offset against the revenue of the upcoming film releases. Although earnings per share dropped from $0.11 in 1997 to $0.08, the stock reacted very favorably to the earnings report as analysts had expected the company to only breakeven. The stock jumped over 8.7% the day after the earnings report to $44 5/16. This was on top of the almost 6% gain the previous day when Disney announced better than expected earnings and a 3-for-1 stock split. Pixar's stock had a great run in early 1998, more than doubling since the beginning of the year. There wasn't much else of note in the quarterly report, besides the upgrade of Toy Story 2 from direct-to-video to full theatrical release. Some other minor items included that construction of the new Emeryville headquarters would start in the second half of 1998, and the earliest discussion I recall seeing regarding the studio's Y2K planning and preparation. I'll be back in a few weeks to discuss Pixar's 1998 second quarter results. 6 years ago today on June 27, 2008, Pixar released their 9th feature film, WALL•E. A totally original film, WALL•E was a huge hit. It made over $223M domestically, making it the 5th highest grossing film of 2008 and the highest grossing animated film of the year, ahead of Kung Fu Panda, Madagascar: Escape 2 Africa and Dr. Seuss' Horton Hears a Who!. WALL•E is Pixar's 10th (out of 14) highest grossing film. It was also a critical success, garnering a 96% Rotten Tomatoes rating. WALL•E was released with the short film Presto. Doug Sweetland made his directorial debut with the short film and to me is one of Pixar's most funny shorts. WALL•E is one of those rare science-fiction films that is more than just amazing visuals. It has wonderful music (composed by Thomas Newman), characters we care about and an engaging story. From the 40 minute dialog-free opening to memorable scenes such as WALL•E looking over a hibernating EVE, the Define Dancing scene, and the emotional ending, it is easy to forget these characters are robots, and ranks as one of Pixar's finest films. Some of you may not know that the origins of WALL•E began back in 1994, during a meeting at the Hidden City Cafe in Pt. Richmond, CA. WALL•E was the last film produced from the ideas that came out of that meeting, the others including A Bug's Life, Monsters, Inc. and Finding Nemo. Andrew Stanton talks about this meeting in the teaser trailer for WALL•E. 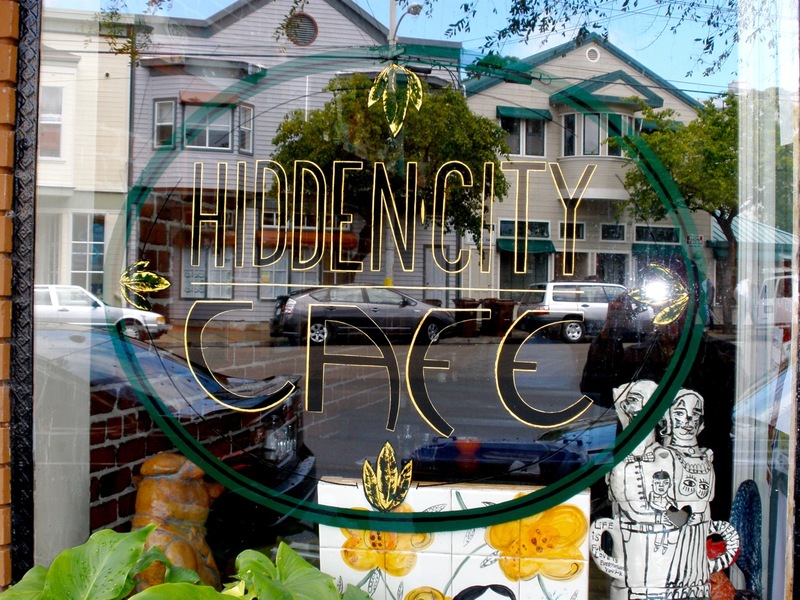 Many Pixar fans, myself included, have made a trip to the Hidden City Cafe and had one of their great breakfast items like the Hidden City Scramble, or visited with owner Shellie Bourgault. Sadly the cafe closed in 2012 - I wrote about the closing which I discovered when I tried bringing my wife there while celebrating our 25th anniversary in the San Francisco area! Needless to say, my wife does not have the same, fond memories of the cafe as I do, especially when she discovered the reasons for the closing. There may not be a Pixar feature film this year, but for us fans there's always ways to get our Pixar fix, whether it be short films like Party Central, Car Toons episodes like The Radiator Springs 500½ or TV shows like Toy Story that Time Forgot. 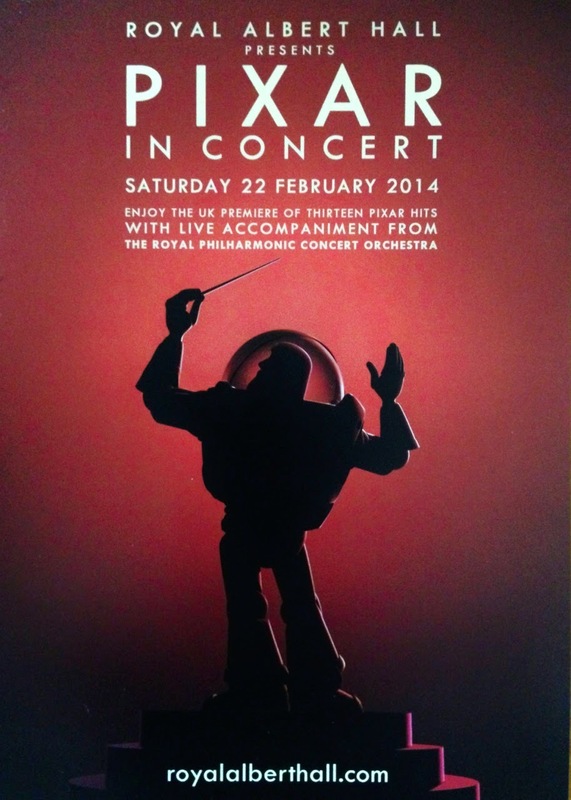 But for me, the most exciting Pixar-related event of 2014 is Pixar In Concert! Music from all 14 Pixar feature films and the 4 composers (Randy Newman, Thomas Newman, Michael Giacchino and Patrick Doyle) is performed by a symphony orchestra while scenes from the corresponding film are displayed on a large screen. These film scores and their composers have won 10 Grammys, 3 Academy Awards and have been nominated for an additional 10 Oscars. For a long time, I didn't know if this concert series would come to Minnesota. It started with a few performances in California in the summer of 2012. Over time more performances, both domestic and international, were announced. Finally, performances in Minnesota were announced and I bought my tickets! My excitement only grew after my friends Santi and Laura from Spain attended a performance at London's Royal Albert Hall, and kindly sent me a copy of the program plus some other really great items like a copy of the program from the Pixar 25 Years of Animation exhibit that just closed in Madrid. Finally the day has arrived!! 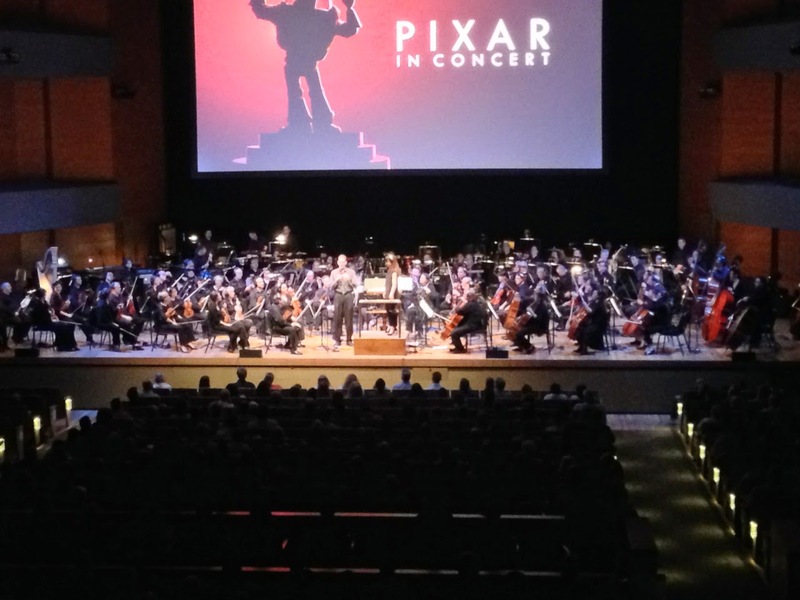 I attended the Pixar In Concert performance today at Orchestra Hall in Minneapolis, performed by the Minnesota Orchestra and conducted by Sarah Hicks (who also conducted the original performances at the Louise M. Davies Symphony Hall in San Francisco). Needless to say, the music was AMAZING! There is something special and extra-moving to hear music live, especially with a full orchestra. I think there must have been a lot of dust in the hall, I had tears in my eyes for most of the performance! I really loved all of it; I thought I could pick out a favorite piece but don't think I can. I can say I really, really enjoyed the pieces from Finding Nemo, Ratatouille, Up and The Incredibles. The pieces for Cars 2, Toy Story 3 and Brave were also wonderful. The last piece of music was from Monsters University, and the upbeat, high energy marching band music was an excellent way to end! They then did an encore performance of "You've Got a Friend in Me" to end the concert. Yes, that's Pete Docter speaking. Sorry, it's an iPhone picture. A huge surprise for me was that Pete Docter hosted the performances this weekend here in Minneapolis. 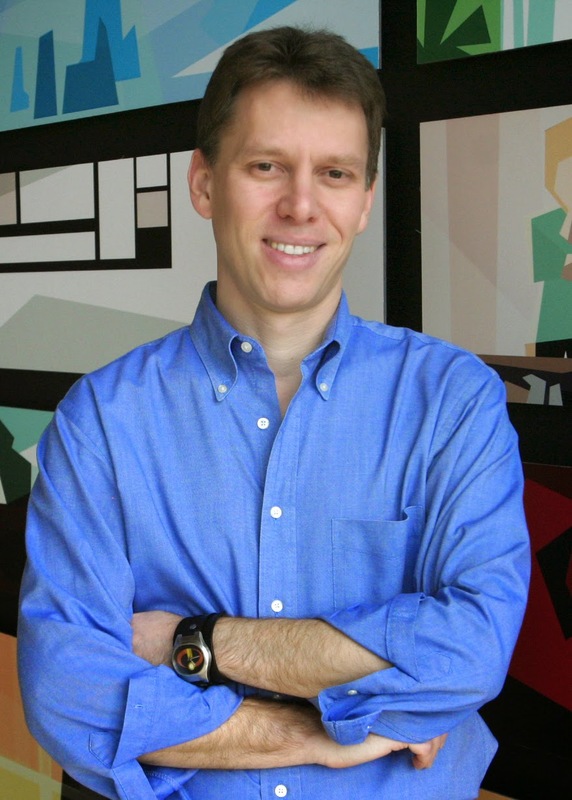 Docter is originally from Bloomington, MN and is the creative director of the concert. Pete's parents were also in the audience, which made it even more special. Pete came out a few times during the performance to talk about the films and the music, and had some great stories to share. At one point while talking about The Incredibles and Cars 2, he actually made a FaceTime call to composer Michael Giacchino! Fortunately, Giacchino was at home "washing dishes" and "trying to keep the cat from eating the guinea pig", so he was able to share a couple of stories from both of those films (Giacchino said that during the scoring for Cars 2, director John Lasseter gave the guitarist a model of Finn McMissile and told him that he needed to become that character). I was touched that Pete made the trip to Minnesota, right in the middle of production of Inside Out. To me it's a testament of the importance of music to Pete. If you're a fan of the music from Pixar's films, or just a fan of movie scores, I strongly recommend seeing this concert. Fortunately there are still quite a few performances scheduled, including ones in Seattle, Paris, Chicago and Denver. Plus, there will be 4 more performances held at the Davies Symphony Hall in San Francisco next month. And as a special treat, the July 17 performance will be hosted by Lee Unkrich, and John Lasseter will host the performance on July 18! There are still plenty of seats available for both of those shows. If you have attended, or are going to attend, a performance, I'd love to hear your thoughts on it - leave a comment below! It should be obvious, but I think many people miss the point of iterations. They are used to iterate the product, whether it is a film or software. By iterate, I mean to evolve and improve the product. How often have we heard Pixarians like John Lasseter, Andrew Stanton or Lee Unkrich talk about how they are continuously "plussing" or improving the film. The same goes for writing software, and was made clearer to me when I read a blog post on the Simple Programmer website. As discussed in this article, the point of iterations are to gradually improve the product, not introduce and fully complete functionality. Developing a product with iterations is not meant to be a linear process. That would be like the filmmakers at Pixar saying "OK, in this iteration we are going to work on scene X - write the script, storyboard, animate and finish the scene." But that's not iterating, that's just doing many small waterfall cycles. It's about the evolution of the product, making it better with each iteration. I'll discuss iterations more in future posts, but in the meantime here's a great article regarding iterating not just the product but project teams as well. In this post of my continuing series on comparing the principles Pixar uses to create films to developing software, we again meet one of the key concepts in Agile development - the iteration. I could talk a long time about iterations, but rather than one long and probably boring post, I will break it up into 2 shorter (but maybe still boring) posts. This first one will focus on the benefits of getting feedback early and often. Pixar's process for developing films is very iterative. Their films don't get built in a linear "waterfall" fashion, going from writing to storyboarding to animating to lighting. Instead, it's an iterative, agile-like process (granted, their iterations are longer than the usual software sprint or iteration). Every few months, the filmmakers gather everyone at the company to view the film in its current state. Early on, the film is just in storyboard form with scratch voices and music. After eac screening, everyone is able to give notes - what's working, what's not, etc. As Ed says in the second quote above, candid and frequent feedback is critical to their process. The filmmakers take these notes and go back at it, re-working and re-boarding scenes, and slowly moving the film forward. This is also the Agile way of building software. Rather than the traditional method of first gathering all requirements, then developing the software, then testing and finally releasing software, the system is described in stories (as described in earlier posts), and development starts almost immediately. The business owner or users decide which stories are of highest priority and the developers will work on them in an iteration usually lasting 1-3 weeks. By the end of the iteration, the stories will have been developed, tested and often times ready to be deployed. This process then repeats itself until all the stories are complete. Why is an iterative approach a better methodology for both movies and software? In both cases, we want to get feedback early, while there's still time to make adjustments with minimal rework. When developing software, by involving the users or business owners early on, they can see and react to what we as developers are translating their requirements into. We may not have understood the user's desires or requirements. In addition, it's difficult to envision what an application is going to look like without something concrete to examine and try out. With an iterative approach and early feedback we can adjust what we're building while we have time and with less rewriting. Finally, by having the business owners involved every step of the way, they are able to pick the most important stories to be worked on each iteration, or even add new stories not envisioned when the project began. This helps us deliver a system that will meet their needs and one that adapts to the changing dynamics of the business. Compare this with a traditional waterfall project where the users aren't able to see the final product until the end. At that point it's usually too late to make significant changes. And changes that would have been small had they been caught early become hard to implement because now their impact may ripple through much more of the system. This can lead to sub-optimal, quick fixes and technical debt. Part 2 of this discussion on iterations will cover another benefit of iterations, which is evolving the product. For all the care you put into artistry, visual polish frequently doesn't matter if you are getting the story right. The first principle was "Story is King." We've all heard John Lasseter and other Pixarians state "Story is King." A story at Pixar doesn't get green-lit until the plot is solid, containing the right amount of humor and emotion. Yes, the marketability of the film matters, but it is secondary to getting the story right. How many strands of Sulley's fur that were rendered or how realistic the lighting and reflections are in a scene won't matter if the story doesn't leave an impact. After Toy Story was released, I was surprised when pundits and other movie studios started to proclaim that traditional 2D animated films were dead and that the future was CGI. So, because Toy Story was a hit and was computer generated, then to make an animated hit it was necessary to do it with CGI???? Wasn't it obvious that Toy Story and Pixar's other films have been successful because of the story? In the same way, software can (and should) also tell a "story". The story for software is solving the needs of the users. As developers we need to work on that story, simplify it and build our software so the story makes sense for our users. How many websites or other apps have you used where it's obvious usability was not a critical element? I wonder how many developers and business owners use the applications they build? I often think it's easy for developers, including myself, to get caught up in the latest technologies and wanting to use it in our projects. But we need to keep our focus on the story. Do these new technologies improve the usability or stability? Returning to the first quote above and flipping it, we can build the most stunning looking website with the latest toolkits, but if users find it hard to navigate our system, or if it's unreliable or slow, it won't matter. We also need to consider the impact on maintenance and reliability of the technologies we are using. As a consultant, I'm usually only with my client for a short period of time. If I bring in technologies that the rest of the staff isn't familiar with, what will happen to the maintainability of the system after I'm gone? As a specific case, I'm building a system for my current client with Grails 2.3. The client has a number of applications at 2.1.5 but has just started using 2.3. I began with 2.3.5 but ran into some issues. We've been unsure of the exact cause of the issues (mostly dealing with continuous integration and deploying to Tomcat) so I upgraded to 2.3.7. Things have settled down but we're still struggling with a couple of issues. We've had a number of discussions, and given the client's expertise with Grails they are comfortable staying with 2.3.7, but it's important to keep the suitability of our tools and frameworks for a production environment in mind when determining which tools to utilize. ...we felt like we were solving problems for a reason. During most of the 1990s I worked in research positions. I was first at the Minnesota Supercomputer Center (MSC) working with massively parallel supercomputers. 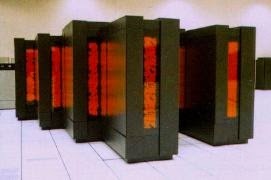 Do you remember the supercomputer in Jurassic Park? That was a Thinking Machines CM-5, which could be configured with up to 1024 SPARC RISC processors, each connected to 4 custom floating point processors. MSC received serial number 1 of the CM-5 in 1991, and I was the system administrator of that machine. I then worked at U S WEST in one of their advanced technology labs, researching ways to manage Frame Relay and ATM network switches. I had so much fun working at these places. We were on the bleeding edge, doing things that hadn't been done before, going to technical conferences and giving presentations. I learned a lot about teamwork and perseverance (such as working over 30 hours straight debugging and modifying the running OS kernel of a multiprocessor Sun 4/690). But in the late 1990s I realized I wanted a change. Much of my work had been on things that didn't have an immediate impact on the business. I wanted what is in the quote above - to solve problems for a reason. So when I received an offer to lead a new group building the next generation of network management systems I jumped at the opportunity. That is where I began building enterprise systems and set in motion opportunities for the next decade. It was also when I realized I wanted to build software in a more agile fashion, although at that time I didn't know it by that name. When working for my company or client, I want to write software for a reason, that I know will make an impact. I've worked on projects where we spent days working on functionality that we knew would get very little use, but it was in the approved requirements document so we had to do it. This is a guaranteed way to lower team morale and lead to apathy. In my first post I introduced the Agile concept of a story, a short description of a piece of functionality, usually written from the user's perspective. By having a backlog of stories and working in an iterative fashion (which will be explored in later posts), the business can choose which stories are of most importance at that moment. In such an environment, we can be responsive to the changing needs of the business, and will feel more confident that we are solving problems for a reason. 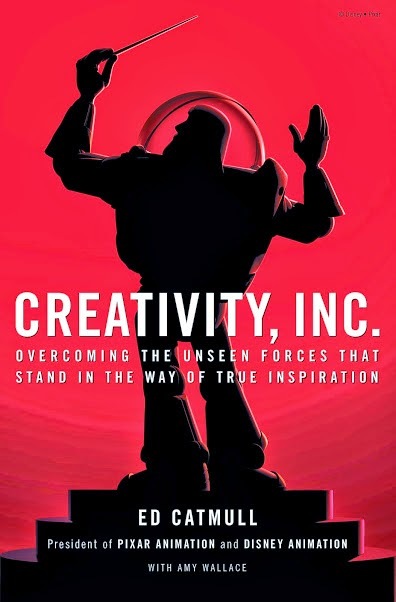 As I mentioned in a recent post, I've been reading Ed Catmull and Amy Wallace's new book Creativity, Inc. and continue to find many similarities between how Pixar develops films and how those techniques can be used to develop software in an Agile fashion. This is the first post to explore some of these similarities. I like this quote being the source of my first post as this is a fundamental tenet of most Agile development methodologies. In traditional methodologies, the team starts with a requirements specification that can have hundreds or thousands of individual requirements. Trying to analyze a project with a large requirements specification can be overwhelming - it is easy to get lost in the details, and most times the details aren't necessary to come up with accurate estimates or the system design. On the other hand, breaking up a large project into small pieces of functionality (the Agile term for these pieces are stories) makes the project more manageable and easier to understand. Let me give an example of using stories that ties back to the quote above. I don't know how well this is going to work, but let's just go with it. Assume you work for a company and you're asked to build a customer loyalty system, maybe to be more specific a new frequent flyer program for an airlines company. Just like the bottle in the quote above, thinking about this system as a whole could be overwhelming! Where do you start? What are the most important pieces of functionality? Somehow you need to break up the system in smaller components. Using a traditional development methodology, you might have a requirements specification with thousands of requirements. This would be akin to shattering the bottle (OK, possibly over the top, but still, work with me) - sure, it might be easy to "color" each tiny little piece but you'll likely never be able to put all the pieces back together. You could also quickly lose sight of the bigger picture. In this way, it is easier for all interested parties (business owners, project managers, developers, testers) to understand the system. We can also decide on the priority of each story/feature, providing flexibility in building the system. Writing stories is a difficult task but if done well it can be a very powerful and flexible mechanism. This is just a quick summary of stories and a couple of their benefits. I'll talk a lot more about them in later posts. 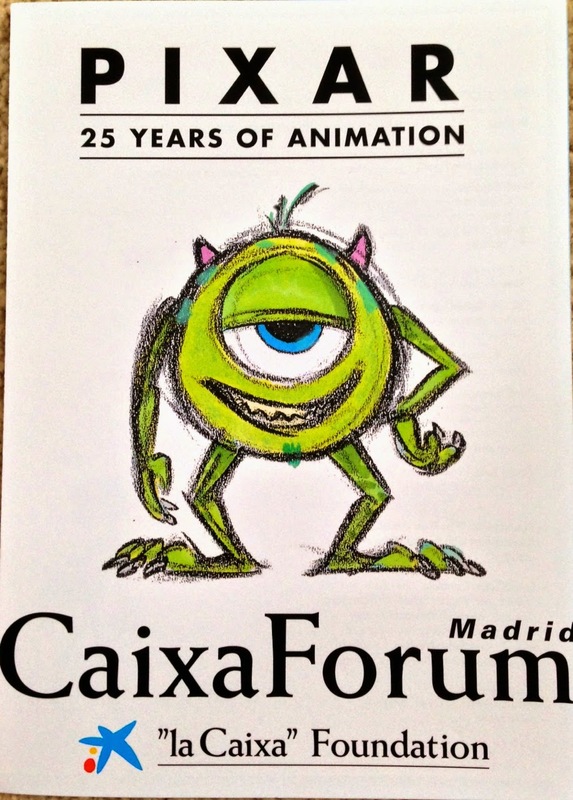 Readers of my blog probably know I've been a long-time admirer of Pixar's culture. Yes, my interest in Pixar started with their films, but as early as Monsters, Inc., what really piqued my interest was their culture. Their films were amazing, full of creativity, imagination and heart. How were they able to do this, film after film? And how were they able to grow the company and maintain that fun, passionate environment? I didn't see this happening at other companies, so what was the secret sauce Pixar had that other companies didn't? To learn more about how they fostered creativity, I watched the behind-the-scenes features on their home video DVDs. 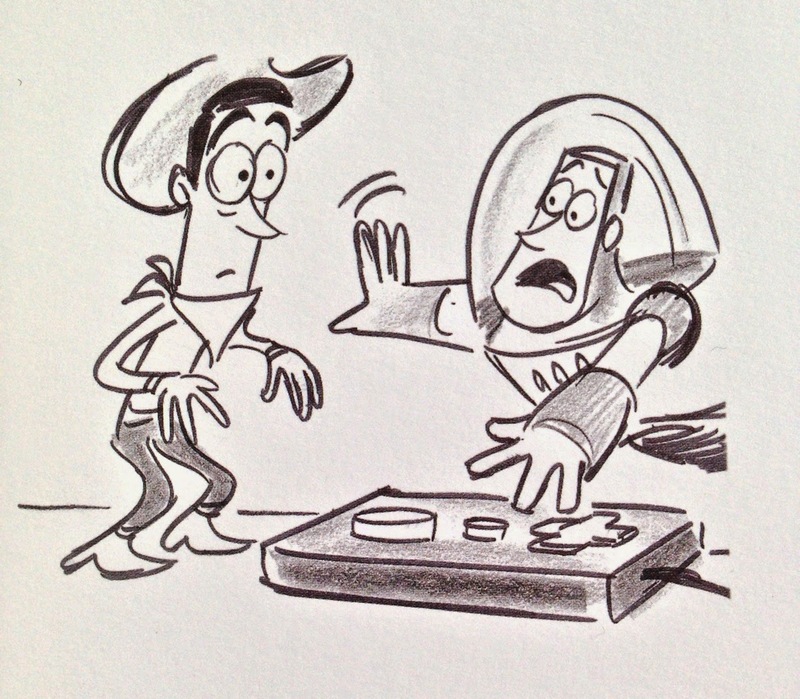 I listened to talks by Ed Catmull, read interviews with Brad Bird and read books like To Infinity and Beyond! and The Pixar Touch. So I was excited when I heard Ed Catmull was writing a book! The man who has had the most impact on Pixar's culture, releasing a book on how that culture was built and maintained. The book, Creativity, Inc., is full of inside stories of the studio and how their films are developed. I really believe there will never be another book like this. So I am trying to not rush through the book. It helps that I'm not that fast of a reader! But I really want to take my time and appreciate its content as much as possible. As I'm reading it, I continue to be struck by how many of the techniques Pixar uses to develop films have corollaries to my industry of software development, especially Agile development methodologies like XP and Scrum. I realized this well before this book came out and have thought it would be good to write about these corollaries. Now that I'm reading the book, I think I'm ready to write these posts. I expect most of them to be short, using specific quotes from the book to focus on 1 subject or technique. I already have 3 posts in varying degrees of completeness, plus another half dozen or so quotes picked out for future posts, and am only on chapter 5! I should have my first post out within the next day or two. UPDATE: My first post is now available. You can also use this link to see all posts in this series. 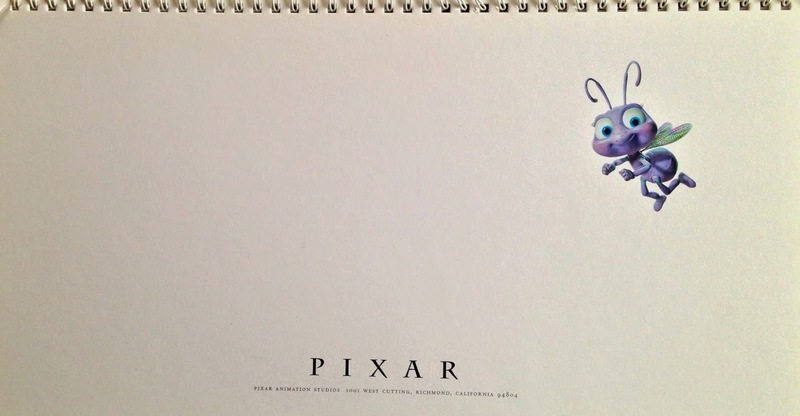 I've written a number of articles on Pixar's financial reports when it was a public company. Today, let's turn time back about 26 years to look at their 1997 annual report, which came out in early 1998. As with many of Pixar's early annual reports, it started with an informative and entertaining letter from CEO Steve Jobs. They also often included a nice little gift - the 1997 annual report came with a VHS copy of the Academy Award winning short film Geri's Game. So I will try and minimize the financial information (much of it has already been covered in the individual quarterly posts I've done) and focus on the other content. In their 1996 annual report, Pixar warned of a significant decrease in revenue for the upcoming year due to a decrease in revenue from Toy Story. This was logical; Toy Story was released more than 2 years earlier in late 1995, and Pixar's revenue in 1996 were over $35 million, primarily from the film. But in usual Pixar fashion, they were conservative in their guidance for 1997 and the company's revenue were almost as much as in 1996, $34.7 million. In fact, film revenue was higher in 1997 than 1996: $26.9 million versus $18.8 million, or an increase of 43%!! Not too bad given the expectations of a significant decline! The increase in film revenue was due to the Feature Film agreement between Pixar and Disney: as Toy Story revenue began to accrue, Disney was allowed to capture the majority of it to offset their marketing and distribution costs. As Disney's outstanding costs declined, Pixar received a larger percentage of the revenue. By the middle of 1997 Disney had recovered all their costs, allowing Pixar to capture a proportionally higher percentage of the Toy Story home video and merchandise sales. You might then ask why were overall revenues down in 1997? This was due to 2 areas. First was in patent revenues - in 1996 Pixar received patent revenue of over $9 million from Silicon Graphics (SGI), which dropped to only $1.7 million in 1997. The second area of decreased revenue was in animation services, such as television commercials. Pixar decided to get out of doing animation services for external customers in 1996 to focus on its feature films which caused this revenue drop. Pixar's gross margins continued to increase, which is amazing since they already were quite high. Overall gross margins increased from 86.6% in 1996 to 92.7% in 1997. Much of the increase came from Pixar getting out of animation services, which had the lowest gross margins of all their segments. Patent licensing revenue had no associated costs and the software segment (which derived revenues from sales of their RenderMan application) had very low costs (1.8% in 1997 versus 3.4% in 1996). Cost of film revenue also dropped to 5.5% versus 8.2%, mostly due to Disney recovering all their costs in mid-1997 which allowed Pixar to receive a proportionally higher amount of the revenue. Overall, 1997 turned out to be a better year financially than 1996, except for the bottom line. Pixar ended up paying quite a higher amount of taxes ($9.9 million) in 1997 than 1996 ($2.0 million), due to the utilization of net operating loss carryforwards during 1996. In the end, Pixar reported net income of $22.2 million ($0.46/share) in 1997 versus $25.3 million ($0.54/share) in 1996. Still, I'd consider those pretty good results given the guidance Pixar gave at the beginning of the year! Pixar's cash position also improved in 1997, growing from $161 million in 1996 to $176 million, even with the much larger outflow of cash Pixar experienced. Pixar spent $10 million on computers and other property to run the studio and $7.7 million on the new Emeryville studio. In addition, with the new Co-Production agreement Disney and Pixar signed in early 1997, Pixar was responsible for half of all film development costs, which totaled a little over $27 million. These costs were more than offset by the higher revenues and the $15 million Disney invested in Pixar on the signing of the Co-Production agreement. OK, enough of the financial information. As I mentioned at the beginning of the post, Steve Jobs started the annual report with the shareholder letter, which he wrote after watching the 1997 Academy Awards. Pixar won their third Oscar that year, this time a Best Animated Short Film award for Geri's Game. Jobs congratulated director Jan Pinkava, producer Karen Dufilho and the entire Geri's Game team. Besides the Oscar, Tom Duff, Eben Ostby and Bill Reeves each won an Academy Scientific and Technical Achievement award for their work on Pixar's Marionette 3-D Animation System. In addition, Tom Porter won a Scientific Academy Award for his work on digital painting. The addition of these awards brought Pixar's total count of Academy Science awards to 18. Hiring 97 employees during 1997 for a total of 391. Expecting to break ground on the new Emeryville studio that summer with a move-in date of early 2000. Investing over $8 million annually on research. Growing the size of their RenderFarm to 1000 Sun processors and having storage capacity of over 5 terabytes. 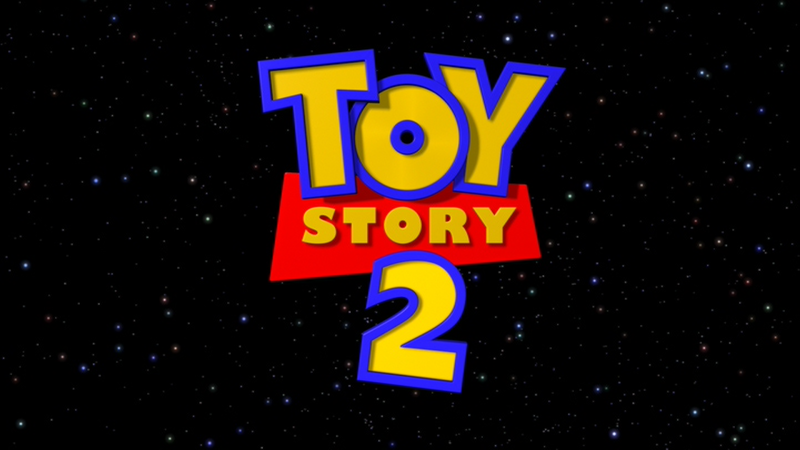 Highlighting that Toy Story 2 had been upgraded to a full theatrical release, and that their still secret 4th film (Monsters, Inc.) was in development and was hoped to go into production by the end of the year. Jobs was very clear on his goal for Pixar - to make it the second greatest feature animation studio in the world, only behind Disney Animation. As part of reaching this goal, Jobs stated they were trying to release one animated film per year for the next 3 years (A Bug's Life in 1998, Toy Story 2 in 1999 and Monsters, Inc. in 2000). But Monsters, Inc. would end up not being released until 2001 and Pixar did not accomplish the goal of 3 films in 3 years until 10 years later. 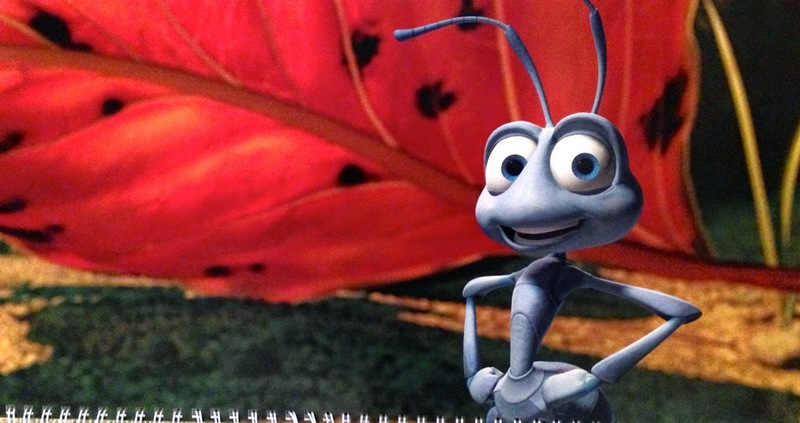 Jobs went into great detail on the making of A Bug's Life. He highlighted how there were over a dozen major characters, and that each one was more complex than any characters in Toy Story. He talked about how a new subdivision surface technology developed for Geri's Game was used to bring more subtlety and lifelike expressions to the characters. He also explained how they were using simulation software for moving crowds of hundreds of ants or creating lifelike movement in blades of grass (Simulation would reach a new level of complexity and use in Monsters, Inc.). Finally, he discussed how the lighting team was challenged to create more sophisticated lighting to support the outdoors environment the film takes place in. He said the results were "breathtaking". Jobs was also excited about the wide-screen nature of the film, stating that it would look "epic". A Bug's Life was the first film entirely transferred to film via lasers, and Pixar had to develop their own laser film recorder to perform the transfer. And with all the complexity and larger cast of characters, Jobs stated they were using 10 times more processing power to create the film as they did on Toy Story just three years earlier. Jobs also explained how it was decided to upgrade Toy Story 2 to a full theatrical release. They originally felt that, with most of their key people from the original Toy Story working on A Bug's Life, they would not be able to find and recruit enough talent to meet the higher standard demanded of a theatrical release. But since the success of Toy Story, Jobs stated Pixar had "become one of the hottest places to work in our industry," and had pulled together a team capable of delivering the necessary quality, at that time being led by Ash Brannon and Colin Brady. 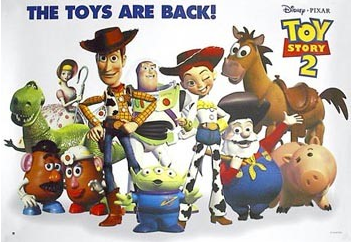 The decision to expand Toy Story 2 to a full theatrical release occurred after a November, 1997 meeting in which teams from Disney and Pixar watched the completed story reels and felt the story was strong enough to receive a full theatrical treatment. Readers of this blog are probably familiar with the story that, less than a year after Jobs wrote this letter, Pixar would realize the story wasn't as strong as originally thought, and in late 1998 production was stopped and the story underwent a major overhaul, with John Lasseter, Lee Unkrich and others coming on board to make sure the film was delivered on time. 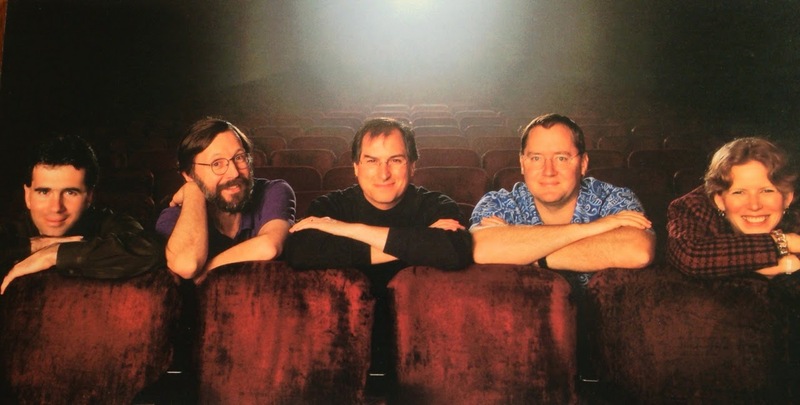 To finish this post, many of you have probably seen the image above of Ed Catmull, Steve Jobs and John Lasseter. Interestingly, the image's origination was in this annual report but in a slightly different fashion. 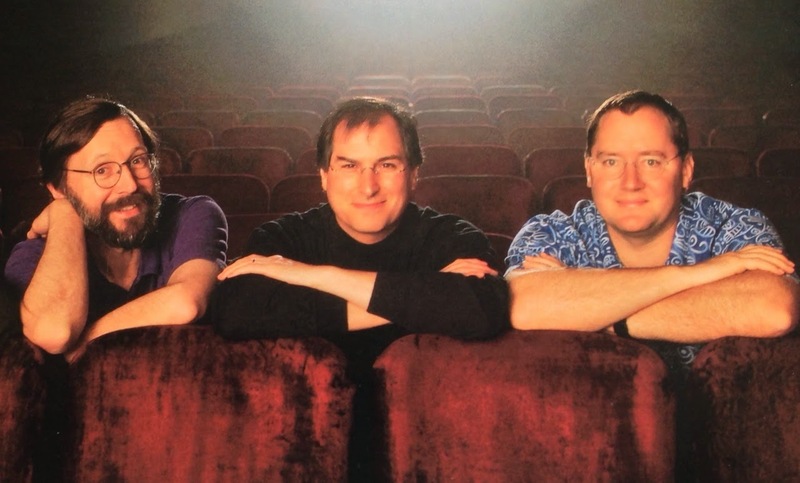 You can see the original image below, which is of Pixar's executive team at the end of 1997, including CFO Lawrence Levy and Vice President of Production Sarah McArthur. 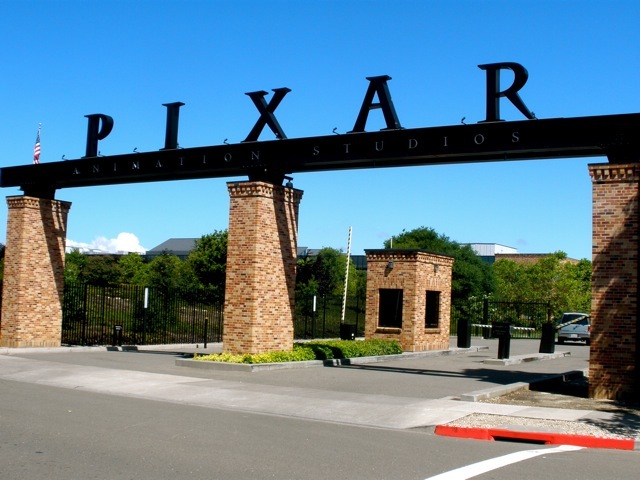 This Day In Pixar History: Tia Kratter Quits (and Quits Again)! It's April Fools Day, so what better way to celebrate it than with a story of April Fools pranks! 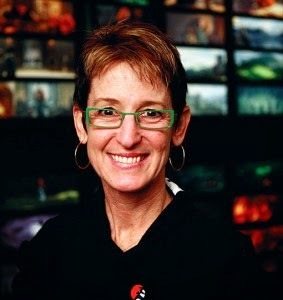 Tia Kratter is a long time Pixar employee, starting her career as a digital painter on Toy Story in 1993. Since then she has been the shading art director on a number of films including A Bug's Life, Monsters, Inc., Cars and most recently Brave. Growing up in a family of practical jokers, she decided to play an April Fools joke on her co-workers. So on April 1, 1998 she sent a company-wide email saying she was quitting. She fooled quite a few people (she even got a "Goodbye Tia" cake! ), and has quit every year since (at least through 2009). She even fooled CEO Steve Jobs on 3 separate occasions! You can tell Tia is a true Pixarian, as her reasons for quitting are always original, such as becoming the art director for Tron 2, going to work in a wax museum and (my favorite) air brushing monster trucks! Not to be outdone, her co-workers did get her back one year. I won't say how - if you want to find out go to the Disney/Pixar official YouTube channel and watch the "Tia Quits" Studio Story, which is narrated by Tia Kratter and Pixar producer Jonas Rivera. I would love to hear if Tia has kept this tradition going and if so, what new ways she has come up with for quitting! Alan Barillaro (1997) - Alan has been with Pixar a long time, working on early films like A Bug's Life and Toy Story 2. He was also a supervising animator on The Incredibles, WALL•E and Brave. Enrico Casarosa (2002) - I discussed Enrico in the October 2012 edition of Start and Birth Dates. One thing I didn't mention is the book he co-authored with fellow Pixarian Ronnie del Carmen and well known illustrator Tadahiro Uesugi. The book is Three Trees Make a Forest, and is filled with awesome drawings and illustrations by the 3 authors. Most of the artwork was originally created for the Three Trees Make a Forest exhibit at the Nucleus Gallery in Alhambra, California. I love looking through this book; each of them brings a different style to the book. If you enjoy Casarosa's water-themed and watercolor art in this book, you'll also probably enjoy his book The Venice Chronicles. Julian Fong (January 21, 1999) - Fong began his Pixar career in Emeryville doing technical support for RenderMan. He continues working to enhance and improve RenderMan and related tools. Prior to coming to Pixar, Fong studied Computer Science at the University of British Columbia. He has also worked at the National Research Council of Canada, Electronic Arts and Vertigo Software. Austin Lee (2002) - Lee started at Pixar doing modeling and rigging for Elastigirl and the Underminer on The Incredibles. He has done modeling/rigging work on a number of other characters such as Colette from Ratatouille, WALL•E, and Buzz Lightyear and Molly from Toy Story 3. Lee received a Best Character in an Animated Feature award from the Visual Effects Society for his work on WALL•E. His latest work was on Brave. Lee studied at New York University's Tisch School of the Arts and received a double major in Fine Arts and Computer Science. David MacCarthy (2001) - David is a technical director, and has worked on many of Pixar's films including Monsters, Inc., Finding Nemo, The Incredibles and Cars. 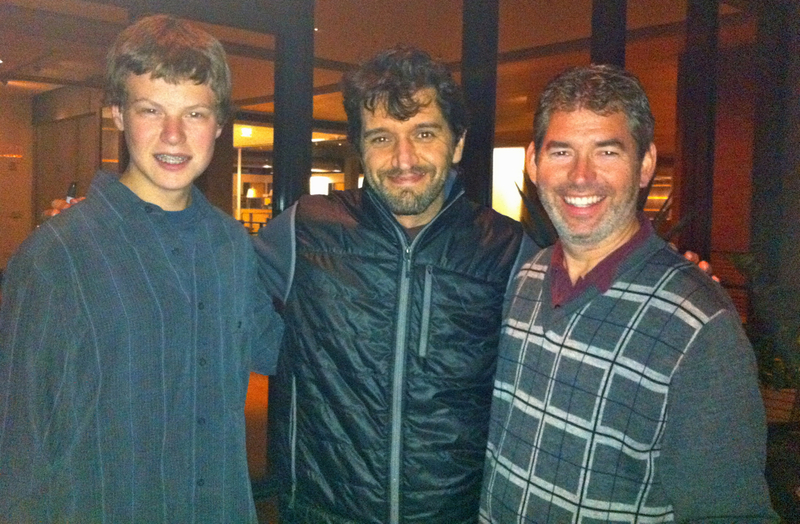 He was also an effects supervisor on WALL•E and Brave. MacCarthy was born and raised in Cork, Ireland. After moving to the United States he studied sculpting at the School of the Art Institute of Chicago. Colin Thompson (2002) - Thompson started his Pixar career doing sets and character shading on Finding Nemo. He did similar shading work on The Incredibles, Cars and Ratatouille. He was the sets shading lead on both Up and Brave. Thompson graduated from Skidmore College in New York with a Bachelor in Fine Arts, specializing in painting, sculpting and computer graphics. Prior to coming to Pixar, Colin was a technical director on the Blue Sky Studios film Ice Age. Derek Thompson (2005) - Thompson is a story artist at Pixar. He first worked on WALL•E and also worked on Brave. Previous to Pixar, Thompson worked at Dark Horse Comics, worked on video games at Rhythm & Hues and did storyboards for Star Wars Episode III: Revenge of the Sith for Lucasfilm. Derek received his BFA in Illustration from Otis Parsons Art Institute. 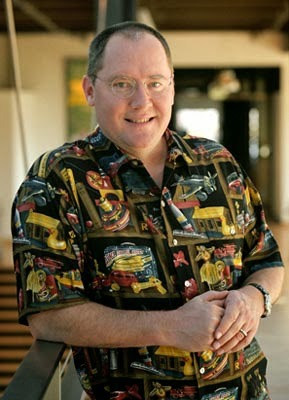 John Lasseter (January 12, 1957) - John Lasseter is the Chief Creative Officer of both Pixar and Disney Animation Studios. He is also the Principal Creative Advisor at Walt Disney Imagineering. Lasseter started at Pixar before it was Pixar, back when Ed Catmull and Alvy Ray Smith were running the computer graphics lab at Lucasfilm. His first work was animating on The Adventures of André and Wally B. He was one of the forty original employees of Pixar when it was spun out of Lucasfilm in 1986. He has directed 5 Pixar feature films (Toy Story, A Bug's Life, Toy Story 2, Cars and Cars 2), and has been executive producer on almost every Pixar film and all the Disney Animation Studio films since Pixar was bought out in 2006. Lasseter and his wife Nancy have 5 sons and own a winery in Glen Ellen, CA. Bob Peterson (January 18, 1961) - Peterson is one of the earliest Pixar employees, hired in 1994 to do animation on commercials before moving over to animate on the original Toy Story. 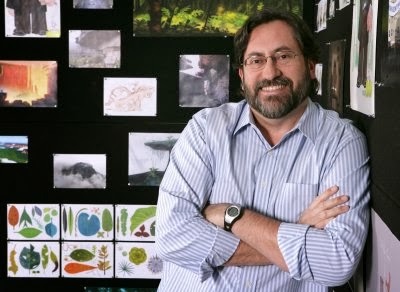 He was a story artist on both A Bug's Life and Toy Story 2 and was story supervisor for Monsters, Inc.. Peterson wrote the screenplay for Finding Nemo, along with director Andrew Stanton and David Reynolds, and they were nominated for a Best Writing Academy Award for that screenplay. He co-wrote and co-directed Up, which won the Oscar for Best Animated Film (you know, back when Pixar was being recognized by award organizations), and he was again honored with an Academy Best Writing nomination, along with director Pete Docter and Tom McCarthy. Peterson is also well known for voicing many memorable Pixar charaters, such as Roz in Monsters, Inc., Mr. Ray in Finding Nemo and Dug in Up. Peterson was scheduled to make his sole directorial debut on The Good Dinosaur but sadly was removed from the project late last year. Jenifer Lewis (January 25, 1957) - Not a Pixar employee, but Lewis is well known in the Pixar universe as the voice of Flo in Cars and Cars 2. Lewis has done other voice work, such as Mama Odie in The Princess and the Frog, and Motown Turtle in Shark Tale. UPDATE 4/2/2014: I've added the major award organizations, plus a few more of the minor organizations. Well, here we are again, in the midst of the awards season. Close to 3 dozen critics organizations have announced their winners, and we are now close to some of the major award ceremonies - the Golden Globes will be awarded this weekend, the Academy of Motion Picture Arts and Sciences will be announcing the Oscar nominations next week, plus we have the Annies and BAFTA awards coming up over the next few weeks. For the most part, I'm not surprised by these results. I thought Frozen was an excellent film with a great story, good characters, good music and amazing animation, sets and effects. I haven't seen The Wind Rises but given the history of Studio Ghibli and director Hayao Miyazaki, it's not surprising it has won a number of awards. What does shock me is that Monsters University has won only 1 award! Really?! I recently wrote about how Disney Animation has really upped the quality of their films over the past few years. But it seems that as Disney has continued to deliver better films, people are acting as if Pixar is going the other way and delivering lower quality films, which I disagree with. 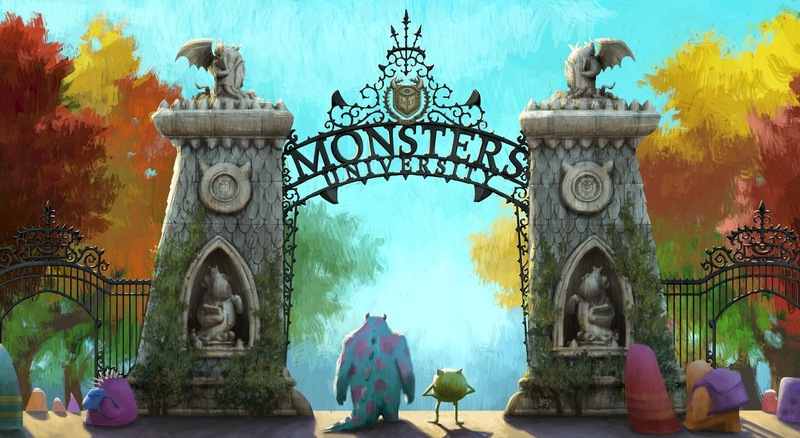 I thought Monsters University had a great story with some really nice, unexpected twists. And while Disney continues to improve upon the technical aspects of their films, Pixar still reigns supreme in this area. They continue to lead the way in areas like physically based lighting and shading and rendering optimizations. Being able to put such detail into the large and varied range of characters in this film is stunning. I have an image of Dean Hardscrabble as my iPad's background image, and I still look at it in awe whenever I wake up my iPad. Again, with Frozen at 89%, it's no surprise how many awards it has won. But Monsters University is only a couple percentage points behind The Wind Rises. I don't see how that translates into almost a dozen more wins for The Wind Rises. And Monsters University did better with the critics than Despicable Me 2, but the latter has 3 more wins. Monsters University didn't even score a nomination from the Golden Globes (The Croods, which has a Rotten Tomatoes rating of 70%, took the third spot along with Frozen and Despicable Me 2). So I really don't understand what's happening this year. Some people may say I'm just being too biased. And yes, I am biased (I think the word Pixar is somewhere in the name of this blog). But I can also say that Frozen is a wonderful film and deserves award recognition. Over the last couple of years we have seen a number of excellent animated films from other studios getting recognized (I'm thinking of Wreck-It Ralph, ParaNorman and Frankenweenie), and that's a great sign for the industry. But I still think Monsters University was technically better than the majority of the other contenders, and storywise it's on par with Frozen and better than Despicable Me 2. So how this translates into only 1 award is beyond me. In any case, I'm looking forward to the rest of the award season and to see how all these films fare. If you're interested in seeing the nominations and awards bestowed upon Monsters University, take a look at its Pixar Wiki page!